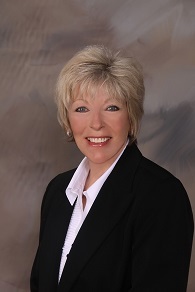 Lynn Spruill is a native of Starkville and is a graduate of Starkville High School and Mississippi State University earning a Bachelor of Science in Business in 1974. Lynn is a former United States Naval Officer and pilot, Mayor of Addison, Texas, pilot for Delta Air Lines and Starkville city administrator. She is currently a businesswoman and realtor in Starkville, Mississippi. Lynn co-owns and managed Spruill Property Management where she was overseeing the day to day operation for over 350 apartments around Starkville including the maintenance and upkeep of the properties and marketing strategy for the company until her election in July. She is also a property developer for Greenbriar Subdivision and has been a contributing journalist for the Starkville Dispatch. As a United States Naval Officer and pilot she became the first woman in the history of the Navy to qualify as a carrier pilot in 1979. She also served as a Councilman and then Mayor of Addison, Texas from 1985 to 1993 where she was named Woman of the Year in 1993. Under her administration the Town of Addison became the hub for special events including a Grand Prix race and Oktoberfest. Under her leadership, the town initiated and completed a charter amendment including term limits for elected officials. She oversaw the initiation and completion of construction of a Conference Center and Theater complex and instituted Town Meetings for citizen input and quarterly newsletters for residents. She decided not to run for re-election and opted for furthering her education by attending law school receiving her JD/MPA joint degree from Georgia State University in Atlanta, GA. In 2004, Lynn moved back to Starkville and took over Spruill Property Management from her late father and later became Chief Administrative Officer for both Mayor Dan Camp and Mayor Parker Wiseman. As Chief Administrative Officer, Lynn managed the 250+ member work force for the City of Starkville. She was also part of a team that managed to keep Starkville property taxes some of the lowest in the state while seeing record community development and economic growth. Lynn is and has been involved in the local community with roles in several organizations such as board member of the Greater Starkville Development Partnership, the Starkville Community Theater Board and the Volunteer Starkville Board. In 2004 she was named by the Mississippi Business Journal as one of the 50 leading businesswomen in the state.